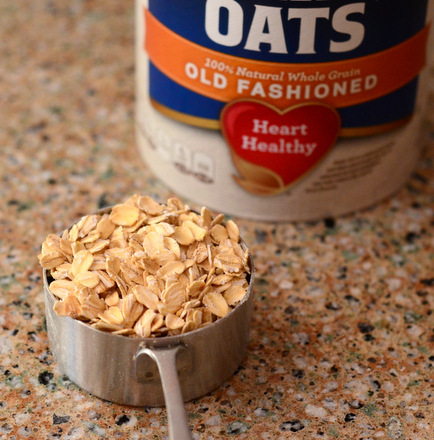 There are several types of oatmeal available at the grocery store – steel cut oats, regular oats (a.k.a. old fashioned oatmeal or rolled oats), quick cooking oats and instant oatmeal – but it is usually regular or quick cooking that is recommended for baking. If you only have room for one type of oatmeal in your pantry, I recommend stocking regular oatmeal because you can make your own quick cooking oatmeal if you need to. Quick cooking oatmeal is made by chopping up regular rolled oats into relatively small pieces, roughly 25-30% as large as a whole rolled oat. Quick cooking oatmeal should not be powdery (if it is powdery, it is closer to “instant” oatmeal), but rather coarsely chopped. 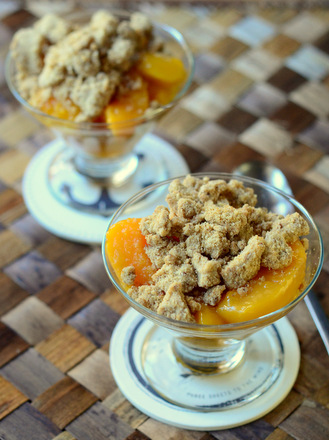 You can prepare it yourself by pulsing regular rolled oats in the food processor until the oats are nicely chopped. 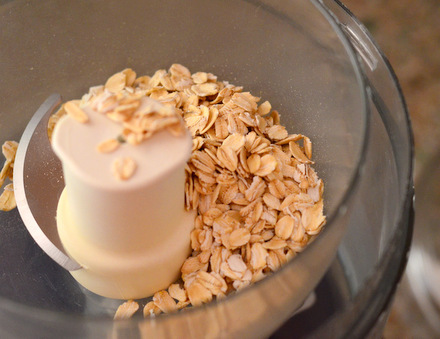 I find that 4-6 pulses of three to four seconds is all that is needed in my food processor, but it may take slightly more depending on the quantity of oatmeal you are working with and the size of your food processor. Keep in mind that the newly-made quick cooking oatmeal will take up less space in a measuring cup than regular oatmeal, so you may need to add extra to your food processor to account for the difference. If there is any oatmeal dust after processing, you can strain it out with a fine mesh strainer or simply use it as-is, since a small quantity of ground oats in a recipe will not usually have much of an impact on the finished product. Leftover quick cooking oatmeal can be stored in a ziploc bag in your pantry, right next to the regular oatmeal and ready for the next time you need it. I particularly like to use quick cooking oats in my oatmeal cookies. The smaller pieces of oatmeal are easier to incorporate into a batter and give me a more uniform finished cookie that spreads nicely and bakes evenly in the oven. 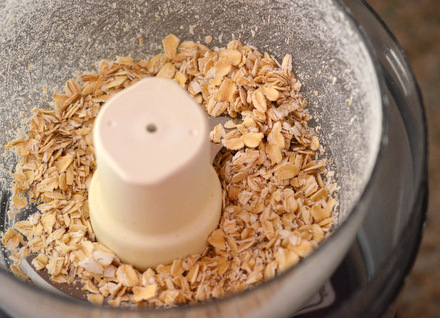 Generally, regular oatmeal and quick cooking oatmeal can be substituted for each other in recipes unless specifically stated, however it is nice to have this trick up your sleeve so that you have both options at your fingertips.